Last year we saw the first Breach & Clear game release and the user reviews were very positive and still are to this today. Those involved with its creation were soon joined by many more to bring out a follow up just a year after, this time taking the battle to a new deadly breed of human monsters. Though that’s sugar coating it. Of course we’re dealing with zombies. You and your team of elite special forces have to stop the infestation before it spreads. 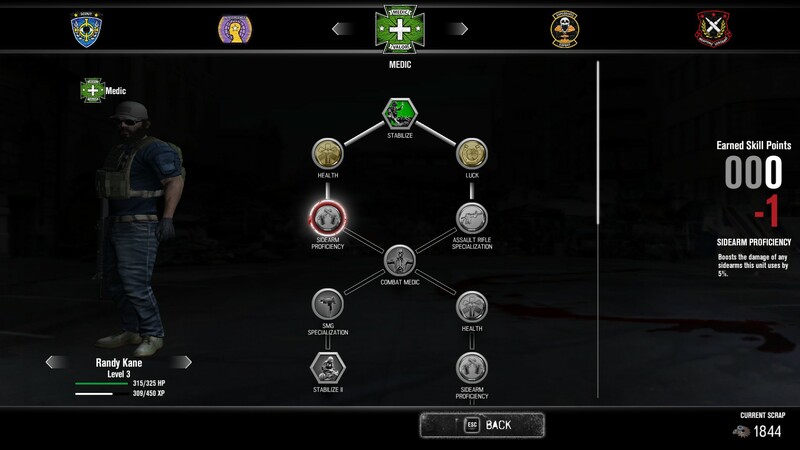 With real time control and command mode you have total control over your squad, putting the pressure on as every second lost panicking over tactics brings your team one shamble closer to a gruesome death. The industry still cannot get enough of the zombie hype; after all these years of zombie games coming and going, we still see them regularly. As a zombie genre fan myself, I can’t help but rejoice in this golden era of the zombie culture. Now even though the first Breach & Clear game flew under my radar, everything I’ve read points to this dev team being on their game. They might not have backing on the level of 2k Games, but they know how to maximum their resources to put out simple quality gameplay. Breach & Clear: Deadline builds on the basics of the previous title, introducing the zombie factor to add greater diversity to your foes. Right off the bat you are deployed in a factory, trapped face to face with the terrible menace. They are slow but vicious and relentless to tear apart anything in reach. Victory depends entirely on putting these uglies down before they start eating faces. 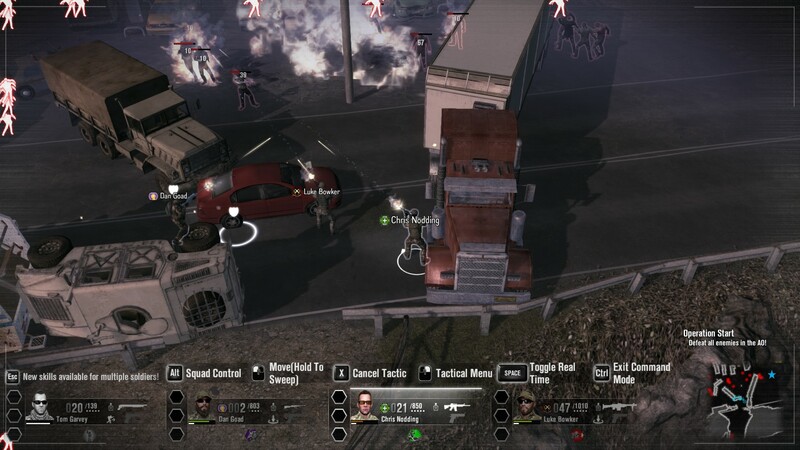 Yet Breach & Clear: Deadline takes their tale a step further in the realism department, introducing other factions of mercenaries and looters looking to take control during the anarchy. Your heavily fortified special forces gear is just the ticket they need to be top dog in zombie town, so you can bet the fearless will be gunning for you every chance they get. 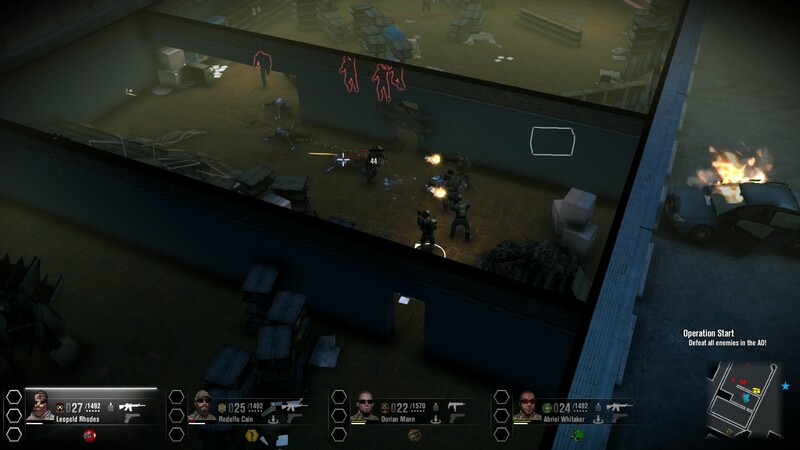 A new feature to the Breach & Clear series is the commanding mode. Don’t get intimidated by the somewhat imposing UI, as it’s easier to manage than you’d think. Either way the game is balanced around excelling at using this mode, so don’t expect to see the end of many battles without using this tactical control panel early and often. The counter option, real time mode, where you can aim, shoot, and move a character freely, still feels a bit unfinished and broken. Thus I spent the majority of my review time mastering commanding. In the commanding mode your isometric view will change, and you will see the playground from above. From this perspective you can give your units individual commands of where they have to move, what general direction they should look, or even make them activate items or abilities. You can even chain commands together chronologically to set up a comprehensive battle plan. The commanding mode will help you give units several interactions at the same time, so you can tell one of your units to go sit behind cover, and then shoot back at the enemy. 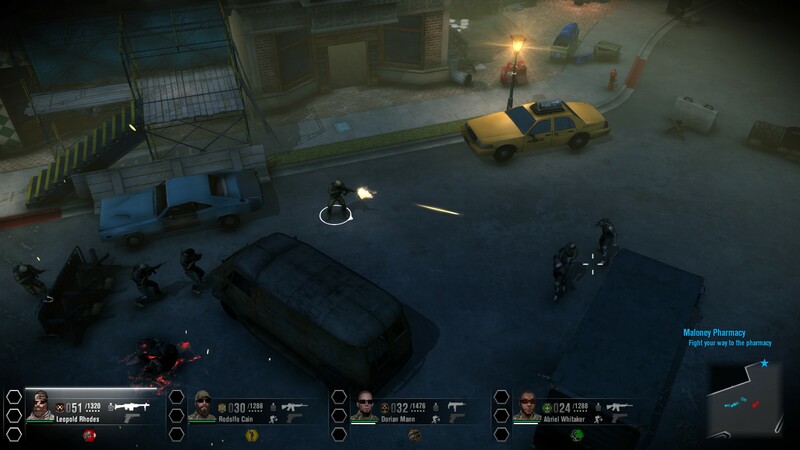 While in the real time mode you only control your single character while the rest of the squad follows you. In the first Breach & Clear game there was something similar, but the gameplay was essentially a lot simpler and easier than this new game. 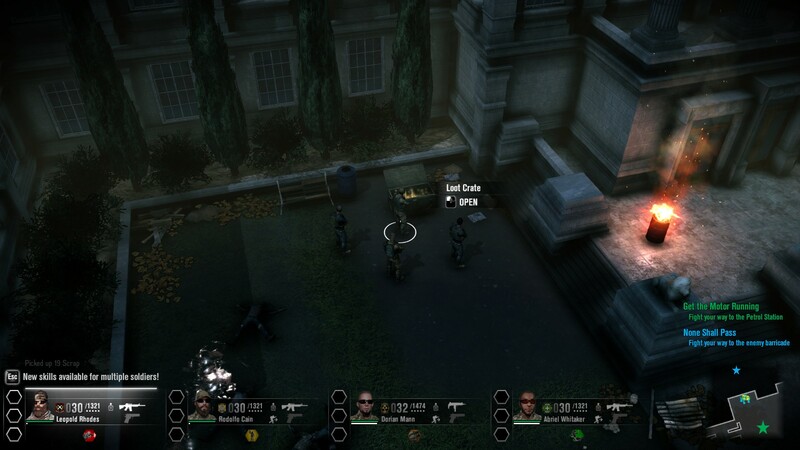 Areas are bigger, there are more enemies and you have to be more tactical when moving up the streets or heading into buildings. As a result the simplistic real time mode feels gimped compared to the commanding mode. 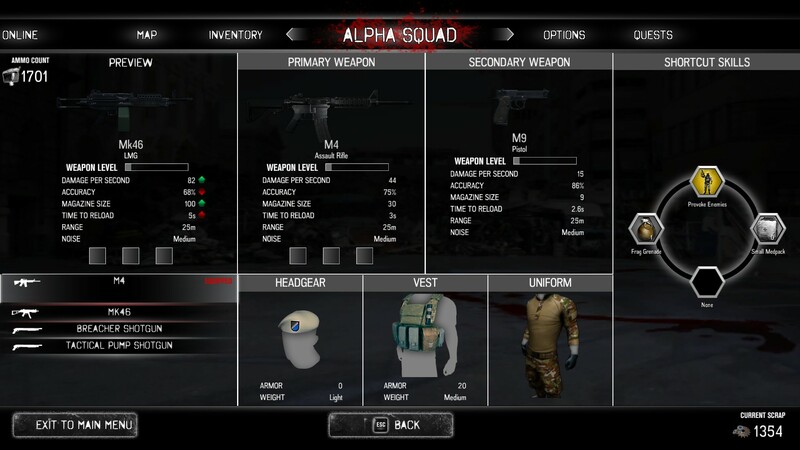 Though it does have its use for discovering crates, and other loot objects filled with ammunition and medpacks. I’m sure it was necessary to introduce the multiplayer co-op elements of the game as well. Rambo spray and pray tactics aren’t encouraged in Breach & Clear. Patience is rewarded, with slow advances being advised to give you maximum time to react to an ambush. Given the awful camera controls present in real-time mode, you simply don’t have the slick controls ready to counter such an ambush effectively. Once you’ve slinked your squads way across the map to make contact with the main enemy force, the battles become a game of real time chess… with guns. Coordinating cover between squad members, while maximizing the use of each class type and accompanying abilities is the meat of gameplay. The better you know what each squad member is capable of, and what they can do to get you out of a bad situation, the more likely you will slam through the higher level missions unscathed. Finding the right formation to keep your medic out of harms way takes some time, but once you get in the groove, Breach and Clear gameplay begins to flow, becoming much more enjoyable and rewarding. Defibrillators are rare items that can bring your medic back from the dead, so keeping your medic alive to do the same job on your allies lets you make a mistake or two and still pull your squad together to survive the worst onslaughts. As you progress in the game, RPG elements kick into place in the form of upgrading equipment and choosing talent tree points. This takes more planning as you might think, as the random process of acquiring weapons might leave you with insanely powerful guns that no one in your squad can utilize effectively due to the way they were stated out in their talent trees. If luck isn’t on your side finding the right weapon to match your character’s strengths, there is always the crafting system to get you by. This has some fun features like adding lasers, gas pumps, scope sights, and all other manner of stat and utility boosters. Gear choice also has tactical impact beyond just picking the highest numbers. Light, medium, and heavy gear can be found to differentiate your characters from tanks to ninjas. Breach & Clear: Deadline takes solid steps forward to competing with the PC market at large. Unfortunately not all those steps are doing the sequel a favor. Much of the user interface and pacing feels clunky and slow. I imagine they’ll be squashed shortly but there are a few odd bugs I ran into in my test as well. The payoff of their real time mode is promising, but honestly needs to go back to the drawing board. Movement in this FPS mode is weird, and hit registration on bullets is random at best. Luckily the command mode gameplay by itself is worth the price tag on this game. 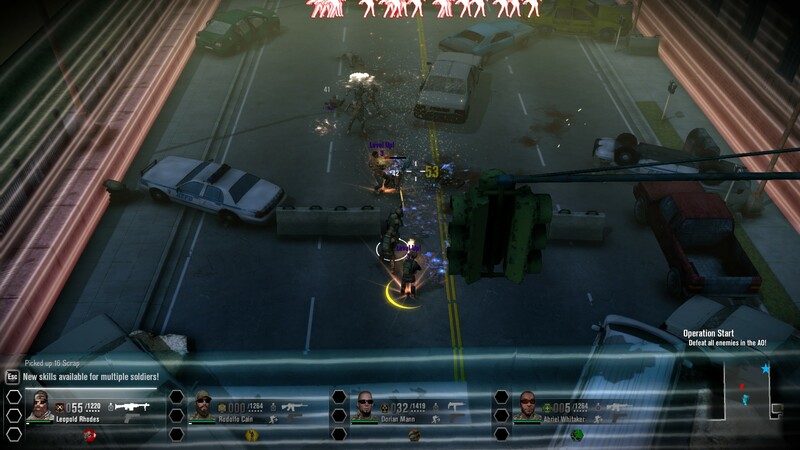 If you don’t mind a slow methodical tactics game fighting zombies, Breach & Clear Deadline delivers just that. The game generally is fun and scenarios are designed well enough to offer even veteran strategy enthusiasts some truly head scratching situations they’ll have to think their way out of. I’d say give the game a week or two to polish its rough edges, and then snag it for a great time. Just don’t wait too long, or you’ll miss out on the Steam launch sell ending July 27th.